Anyone who has followed the progress of Station 17 over the past three decades will know: the only constant in this band is change. Evolving, stretching musical parameters, testing limits - these are the guiding principles of the band founded in 1988 by a group of mentally handicapped residents - Wohngruppe 17 - in Hamburg. Kai Boysen, an independent musician working with them as a curative teacher, started up the collective as a creative and social project, the first of its kind in the alternative music scene to bring together musicians with and without disabilities.Eleven official albums (if we count two remix albums) have been released since then. 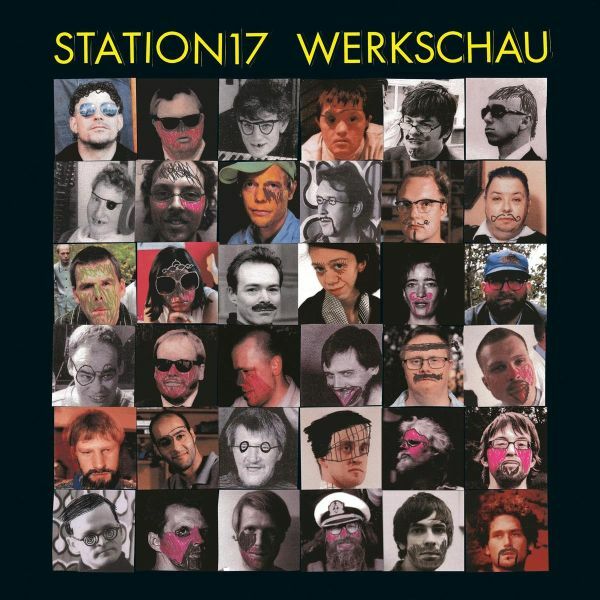 Over the years, Station 17 have increasingly emancipated themselves from the basic idea of a socio-creative project and advanced to the status of an internationally acclaimed combo in the experimental indie rock sector, conjuring up their own mix of electronic, krautrock, disco, noise and pop. This long and emotional journey has seen the collective play more than 800 concerts all over Europe. Two extensive documentaries have presented their story on screen. The role call of renowned guests and collaborators includes HOLGER CZUKAY, FETTES BROT, GUDRUN GUT, ANDREAS DORAU, DJ KOZE and DIE TOTEN HOSEN, to name just a few.The anniversary compilation "Werkschau" offers a wonderful introduction to the cosmos of these pioneers of inclusive music production.